Mark Chapman is the Director of Test Development at WIDA. He is responsible for leading the development of new WIDA assessments and for the annual production of new content for ACCESS for ELLs 2.0. He works closely with WIDA's test development partner, the Center for Applied Linguistics on a variety of test development projects and also supports WIDA's assessment research validation agenda. 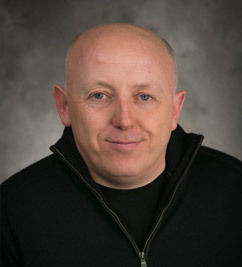 Mark previously served as the Associate Director of Assessment with the University of Michigan’s English as a Second Language testing program. He also spent more than a decade teaching English in Japan, most recently at Hokkaido University. He has a a master’s degree in Teaching English as a Foreign Language from the University of Birmingham (U.K.) and a Ph.D. in assessment from the Center for Research in English Language Learning and Assessment (CRELLA) at the University of Bedfordshire (U.K.).